Xiaomi is a privately owned company that designs, develops, and sells Android-based Smartphones largely via flash sales in India. Blazing fast performance, Great battery life, Excellent value-for-money are some of the attributes of Xiaomi mobile phones. 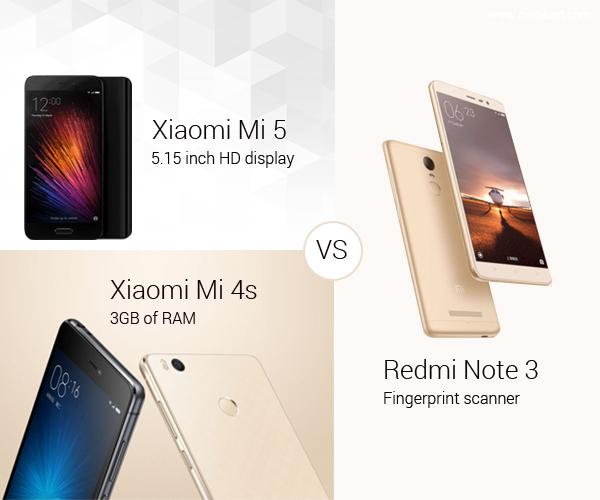 Let’s have a look at the three promising phones from Xiaomi viz – Xiaomi Mi 5, Xiaomi Mi 4s and Redmi Note 3. We have given a brief intro of the three Superphones. Go through each of them to see which suits your requirements and budget. The comparison is for 16GB Variants of all the Phones. Xiaomi Mi 5 32GB – Price Rs. 23,999. Xiaomi Mi 5 is a fantastic phone that gives Samsung’s S7 a run for its money. Packed with a brilliant 5.15 inch HD display, the Mi 5 has Feature-packed and good looking appearance. This beautiful device comes with a curved backing, a glass or ceramic finish and a premium feel. The phone runs Android 6.0 and is powered by a 3000mAh non removable battery. 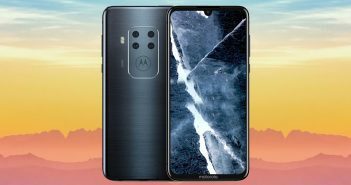 It supports 16-megapixel camera on the rear and a 4-megapixel front camera. Powered by 1.3GHz quad-core Qualcomm Snapdragon 820 processor and 3GB of RAM, Mi 5 runs as smooth as silk. The Smartphone is enough to keep apps in memory without having to reload. Mi 4S is basically an upgraded version of the Mi 4 that features a 5-inch 1080p display highlighted with Snapdragon 808 hexa-core processor, 3GB of RAM and a plentiful 64 GB of expandable storage. It boasts a metal frame, glass panel on the back and front, and also a fingerprint scanner. 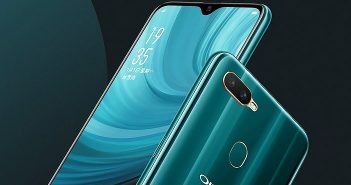 It supports 13-megapixel rear camera, and connectivity options like dual-SIM support, and 4G LTE with VoLTE. Despite these attributes, Xiaomi is truly a great Smartphone for price. Xiaomi’s Redmi series has been wildly popular over the past few years. 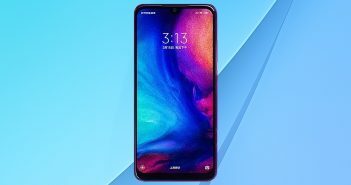 Redmi is the company’s budget smartphone line-up, and the Note 3 sits at the top of the series as an all-metal Android phablet with a fantastic design and decent performance. The Redmi Note 3 features a premium metal body, fingerprint scanner and a brilliant 5.5-inch display all at a very low price. Sure it’s a phablet with a 4050 mAh battery. The phone runs Android 5.1 Lollipop with Qualcomm Snapdragon 650 processor and 2GB RAM. It also supports 16 megapixel rear camera + five megapixel front camera.